Im sad to say I only have 3 of these boxes left. They have been a huge hit. 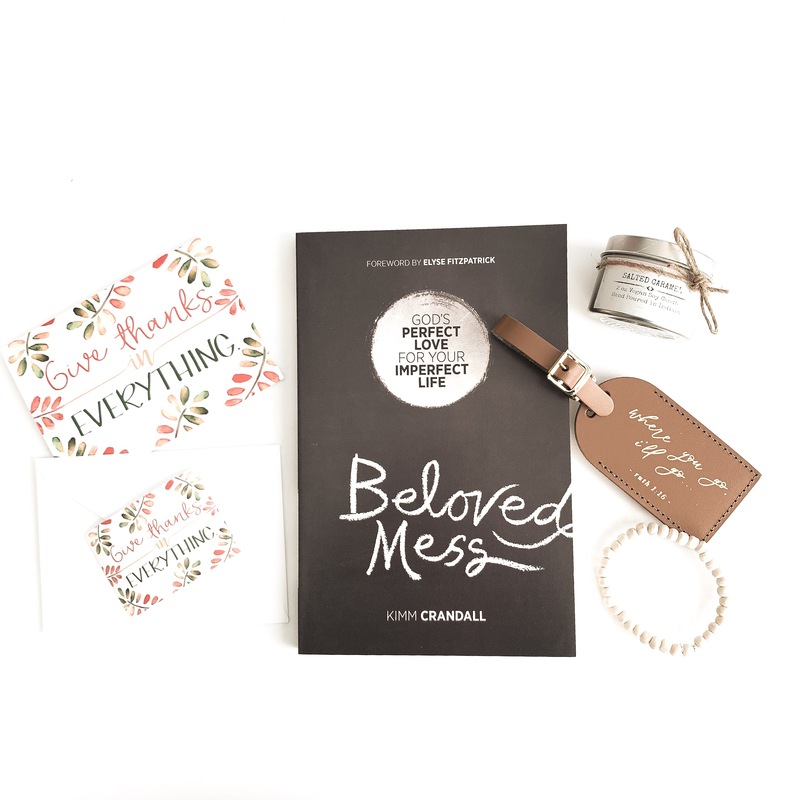 November's box includes: Beloved Mess book, Bible verse luggage tag, mini candle, wood bead diffuser bracelet, and 1 give thanks card set.